A diagnosis is an important piece of the puzzle we are trying to solve when we try to help kids with disabilities learn how to function. Many parents are relieved when they get a diagnosis for their acting-out, “problem child” because they see it as a guideline for the future. They think, “Now we’ll know what to do; this is it— we’ll finally get our child the help he needs.” The truth is that I’ve seen families go through the drudgery of doctors and diagnoses many times. I’ve worked with kids who had Attention Deficit Hyperactive Disorder (ADHD), Oppositional Defiant Disorder (ODD), Conduct Disorder, Obsessive Compulsive Disorder (OCD), and many others. I’ve also seen individual kids with five different diagnoses: every time they were hospitalized or went to a new therapist, they would get a new one. But sadly, in the end their parents were left with the fact that simply having a diagnosis didn’t necessarily mean they could get help improving their child’s behavior, or get them the skills they needed to learn how to function successfully. A diagnosis doesn’t mean that you are assured treatment for your child from which you will see change. A diagnosis doesn’t mean you’re going to get funding to help give your child the success he needs. And a diagnosis does not mean he’s going to get the services he really needs. Sadly, there are no guarantees. I’ve worked with many parents whose kids had been given multiple diagnoses, but their children were still punching holes in the wall, cursing them out and having meltdowns at home and in school. So, What Does a Diagnosis Do For Your Child? Special Education Funding: In the states where I’ve practiced, when your child gets a certain diagnosis, you can often access special education funding. The sad fact is that children with labels attract money; children without labels don’t attract any money. That should not be discounted, because money—the means to get the services that will help your child learn how to manage his life—is a big issue. Many schools and mental health agencies have huge financial difficulties, and children with special needs are competing to get the services they need. Special education funding often depends on what the diagnosis is. If someone has a diagnosis of ADHD, for instance, they will attract special education funding if it interferes with the child’s education. But if somebody has a diagnosis of Conduct Disorder or Oppositional Defiant Disorder, they usually won’t get any special education funding or services. This is because Conduct Disorder and ODD are behavioral issues, which can be determined not to specifically interfere with learning. Medication for Your Child: Getting a diagnosis also can lead to a prescription for your child. With ADHD, in many cases medication can be very helpful. 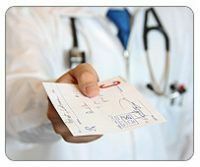 For OCD, medication is almost always indicated unless there are other medical concerns. But there is no medication that deals specifically with behavioral issues like ODD or Conduct Disorder, because again, these are cognitive in nature. Doctors may try different medications, including some anti-psychotics, but most often these behavioral disorders don’t respond to medication. “Someone Finally Understands My Child’s Problem!” Many parents feel lost with their acting-out or learning disabled kids, as if nobody understands their child—or has a solution for them. Many times when you get a diagnosis, you feel as if somebody finally understands what’s going on, and that may very well be the case. Unfortunately, just because someone understands what’s going on, it doesn’t make your child more treatable. While the vehicle of treatment may change from diagnosis to diagnosis, the goal remains the same: to help that child acquire the skills he will need to function as an independent adult. He still needs to be held accountable for his actions. Getting the diagnosis can affect funding and perhaps get your child a prescription, but it does little else. And parents who feel hopeful when they get that diagnosis have only won half the battle. The sad reality is that our current public and private mental health system do not yet possess the knowledge and theory base to effectively treat their child. I’m sure there has been success out there for many individual cases, but the families I’ve dealt with have experienced a lot of disappointment at the outcome of the treatment milieus they’ve been involved with. 1. A Diagnosis Does Not Relieve Your Child of Responsibility. In my opinion, there is nothing wrong with saying, “My child behaves this way because he has ADHD.” Just know that does not relieve either the parent or the child of the responsibility of learning how to function appropriately. 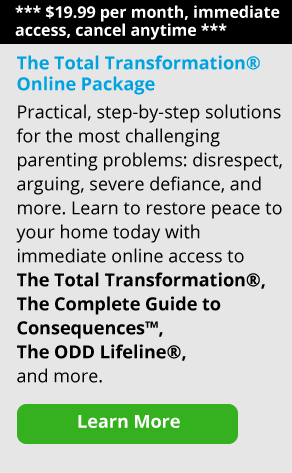 In other words, if you use the diagnosis as an excuse for not challenging your child’s behavior and not doing things that will promote change, I think you’re making a big mistake. Let’s face it, kids with OCD, ADHD, Conduct Disorder, and ODD are all going to become adults some day, and they’re going to need the skills to make it in the real world. Depending upon the diagnosis, when they turn 18 or 20 any funding that might be available stops. Unless your child has a severe Pervasive Developmental Disorder, a developmental disability, Schizophrenia or some other critical disability, there is no more money for him after he ages out of your health insurance or leaves school. That is why it is imperative that your child gets the skills he needs to function in the real world as early as possible. Otherwise, success will be very difficult for him to attain in his life. Playing “Catch-up” is a really tough task for kids with behavioral disorders, and a significant number of them are never able to do it. Let me put it this way: if you don’t know how to manage your feelings, manage your behavior, be productive, and respond to people in an appropriate way – if you don’t learn how to do that by age 18, that diagnosis doesn’t count anymore. Nobody cares. Believe me, the guy you’re working for at 7-11 doesn’t care if you have ADHD or not. He wants you to stock the shelves. And he wants you to do it with a nice attitude and a smile. If you’re not willing to do that, he will get somebody else who will. And I believe in the job market that’s coming, you’re going to have to be really skillful to maintain any kind of decent career. Kids who have disdain for fast food jobs are going to wind up seeking that kind of work just to survive. It should also be understood that while the juvenile justice system tries to be flexible and understanding about learning disabilities or other disorders, after the age of 18, kids enter the adult correctional system. If you tell a judge the reason you broke into a car is because you have ADHD, he’s going to give you a dressing down you’ll never forget. While kids get a lot of flexibility, the fact is, adults aren’t able to hurt others, exploit others or do mean things and get away with it just because they had a learning disability or conduct disorder as a child. That is probably the rudest awakening I see teens with behavioral disorders go through. One month they’re in juvenile court running everyone around and playing games, and the next month they’re in county jail and nobody but their parents cares about them. 2. Don’t Use a Diagnosis to Make Excuses for Your Child. Don’t use a diagnosis to make excuse for your child; use a diagnosis to understand him. When you do this, you’ll be able to figure out a way to teach him how to function and how to perform effectively. Certainly, the way you deliver information to somebody with ADHD might be different from the way you deliver it to somebody who has ODD. While your tone may vary, know that both of these kids need the same information, because at 18 or at 20, they are going to have to meet the same expectations. Let’s be very clear, there’s going to be no free lunch in our society anymore. So kids who aren’t making it are going to be homeless or they’re going to be living in your home. And not only that, their behavior won’t have changed. They’re still going to be demanding, lazy, self-centered and domineering. You’ll constantly hear them making excuses, blaming others and playing the victim. What they won’t do is change on their own. 3. With or Without a Diagnosis, Your Child Needs Skills. It is very important that parents understand that no matter what the diagnosis is, these kids have to have a bundle of skills if they’re going to make it in the adult world. A diagnosis can help indicate how we deliver those skills to them. So for the girl who has ADHD, the boy who has Conduct Disorder, the teen who has OCD, they all are still going to have to work and support themselves. That’s simply the reality of the situation: that is the way of the world. If you make excuses for your child by saying “That’s the diagnosis talking” and if you don’t take any action to get him the skills he needs—and demand that he learns them—you’re giving up. And by the way, giving up is very easy to do. I’m not judging parents, by any means. These kids are overwhelming, and families do give up because they get exhausted. But understand this: these kids still need to get those skills. If they don’t, there’s a good chance they’re going to end up living with you into adulthood, be out on the streets, or in a correctional institution. 4. Kids with Learning or Behavioral Disabilities Need Training the Most, but They’re the Ones Who Get it the Least. Let’s look at the diagnosis from the child’s perspective. My son was diagnosed with Attention Deficit Disorder as a kid. We worked with the school, but he still always felt “less than” the other children. Understand that at the core of these kids with behavior problems or learning disabilities, they’re angry. They’re ashamed of themselves and they feel like they’re damaged goods. And that just makes them feel more hopeless, which triggers more acting-out. Their perspective on their diagnosis is, “There’s something wrong with me.” That’s why they’re always making excuses, blaming others, and saying, “It’s not me, it’s them.” In this way, they defend themselves from the feelings of shame and anger. They see that the other kids can meet their responsibilities and they know they can’t—or won’t. They see the other kids getting along socially, and they know they don’t get along with anybody. They have a big denial mechanism that neutralizes those thoughts, and many of them end up walking around in their own little self-centered world, acting out and becoming more and more destructive. In my opinion, if any child needs to learn how to manage their behavior effectively, it is a kid with learning or behavioral disabilities. In fact, they need it more than the other kids who are successfully learning how to do it as they develop. When a child has a learning or behavioral disability, he needs to work harder to be prepared for adulthood. Unfortunately, these kids are the ones that need training the most, but they’re the ones who get it the least. I used to work with kids in a youth correctional center. Many of them had a lot of learning disabilities. Very few of those youth were what would be considered “normal” school kids. They all had a diagnosis of something like ADD, ADHD, Oppositional Defiant Disorder, or Conduct Disorder, which becomes criminalized when you get into your late teens or even mid-teens. These are the kids – the kids with untreated ADHD, untreated ODD, and Conduct Disorder—who start doing criminal things in adolescence. And if they don’t learn how to manage themselves effectively somewhere along the way, they get lost in the correctional system. Or they become lost in lives of substance abuse because it gives them a release from the pain of not being able to function. So you often see a high percentage of drug addiction and alcoholism amongst these children. And you see a high percentage of people in prison who have learning disabilities. Many, many inmates can’t write and read, and thousands and thousands of people get their GEDs in prison while they’re doing time. 5. To Medicate or Not to Medicate? My view on medication is that it’s up to the parent to decide what’s best for the child. I urge parents to go into it with an open mind, to weigh out the benefits and the risks. Try to determine ahead of time how you will know if the medication is working or not working, within a prescribed period of time. So it’s not only “Put my daughter or son on medication,” it’s “If we put them on it and it works, what will we see in 4 weeks?” Conversely, ask yourself, “How will we know it’s not working and what will we do?” Parents should be informed consumers of the information regarding what medication their kids are using, and what the therapist hopes to accomplish. Medication can be over-prescribed. I’ve seen kids on three or four very powerful prescriptions, and unless you have a good doctor who is monitoring everything very closely, know that many of these drugs can be harmful to the liver and kidneys. It’s important that you keep your child’s pediatrician informed of the meds he’s on. That being said, I think medication should be tried if you and your pediatrician determine that it might be helpful, and after a thorough screening and examination. Also, I think that medication should only be prescribed by a child and/or adolescent psychiatrist. Only they have the firsthand knowledge of how these very complex chemicals interact with other chemicals in the brain. I don’t think pediatricians or nurse practitioners or any other professionals who have the right to prescribe should be dispensing psychotropic medication for children. Personally, I think it’s often worth it to take a chance with medication, if the drugs can support your child’s ability to self-manage sufficiently so he can learn the skills he’ll need. Don’t forget, all these methods we’ve been talking about are different vehicles that work to get information to our kids on how to behave and learn to grow up. They are all, in effect, “service delivery vehicles”. The service is that we’re getting our kids to behave and get some necessary life skills. Medication, special education, therapy, The Total Transformation Program, books and other resources are all examples, different ways to deliver the service of independent functioning to our children. Make no bones about it, as a parent, you need to be proactive and search out the best method for your child, in order to help him function in the grown up world.